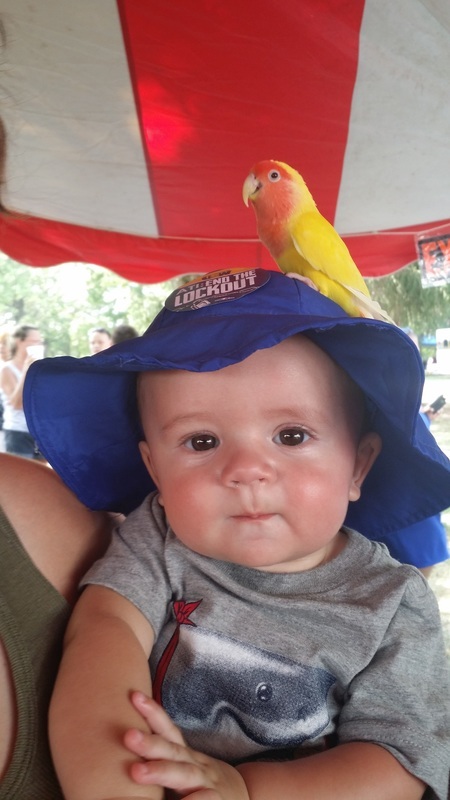 Northmoreland Park 2015 - That Guy with the Birds! Northmoreland Laborday Festival September 6th-7th 2015! Many thanks to all who came out to see us at Northmoreland Park for the Labor Day Celebration! This was a very important milestone for That Guy With The Birds! This was the first show back after having surgery ONE MONTH AGO! As most of you may know, John was recently diagnosed with bladder cancer and had to have his bladder removed and the surgeon was able to make him a new bladder from a section of his colon. Because of John's positive attitude and drive to get get healthy, we were able to setup and do BOTH days at the park! Pictures at the Laborday Festival, Northmoreland Park 2015! Some pictures that we took!